Do you think about switching to Tonik Energy? Check out this guide that will tell you everything you need to know about Tonik. Tonik Energy was founded in 2016 by a team of energy sector specialists, to provide 100% renewable energy at an affordable rate while providing excellent customer service. Plus, helping their customers to take control over their energy by installing smart home products like solar panels and batteries. For an idea of the costs, you can expect from Tonik Energy, see the table below. This is an estimate based on an average use household, so your specific quote may vary a lot depending on your circumstances, but this can be used as a loose guide for comparing companies. Although Tonik Energy offers electricity and gas, they also offer their customers these benefits. Tonik Energy says that their customers shouldn’t buy electricity from them. They want to help their customers to save money and become a part of the green energy revolution, by offering solar panels that make becoming energy independent easier. Like the name suggests, the Tonik Battery stores your electricity either from your solar sources or the grid at night. This means that it costs less and you can use it in the day where electricity is usually costly. Tonik Energy says that by pairing their EV chargers with their smart tariffs and renewable energy, they can bring your charging costs down while making sure that you stay green. Smart meters aim to bring an end to estimated billing, by tracking your energy usage in real time. This means that your energy supplier will only charge you for the energy that you have used, plus with an in-home monitor, you can start lowering your costs by analysing where your energy is going and what appliances use the most. When it comes to customer support, Tonik Energy has a very high rating on websites such as Trustpilot. With a massive 76% of their 1,600+ reviews having a 5-star rating, many have said that the staff are helpful, honest and will go out of their way to help their customers. Nice people to talk to, honest and everything is set-out easily to understand. Head and shoulders above the major suppliers! I’d recommend them any day! Extremely poor customer service. They made up some story after losing my switch details from Scottish Power, through uSwitch. uSwitch clarified that nothing was lost, but Tonik is making me sign up for an expensive package. Tonik Energy has a very positive reputation online, with a 4-star rating on Trustpilot. With only 5% of their reviews falling within the negative category, these reviews have stated that there has been some miscommunication from the supplier and some issues that seem to be one-off situations. Although online reviews aren’t always precise or reliable, they should still be taken into consideration when deciding whether to switch energy suppliers. Great company to deal with. No hesitation in recommending them. Value tariffs and excellent customer service. I’ve had my energy from them for the past year and just renewed for another two. I have just transferred to Tonik. 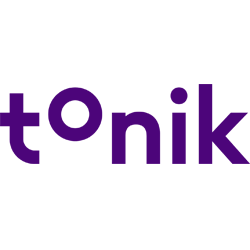 Tonik start taking money from you the DAY you transfer! That means that they take a month’s payment before you have had a penny of energy from them. They also ONLY tell you this AFTER you have signed up. Tonik Energy would be an excellent fit for customers that want to halve their energy costs by installing futuristic home products like solar panels and batteries, to become more energy independent and save money. Tonik Energy is one of the only energy companies that offer their customers ways of becoming more energy independent, helping them to save considerable money on their costs. With an excellent rating on Trustpilot and cost-effective prices, Tonik Energy should be taken into consideration when looking at suppliers to switch to.